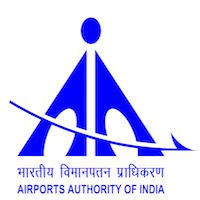 Online Application Details for Airports Authority of India AAI Recruitment of 57 Airport Terminal Officers and 40 Assistant Airport Terminal Officers is given below. Candidate's minimum education qualification for the Vacancies in Airports Authority of India AAI should be . Minimum 07 to 12 years experience as Commissioned Officer for Airport Terminal Officer / Junior Commissioned Officer for Assistant Airport Terminal Officer. Application form and duly attested documents are to be sent to e-mail only to rectt.ipa@aai.aero. In envelope super scribed with 'Application for the Post of Post Name'.